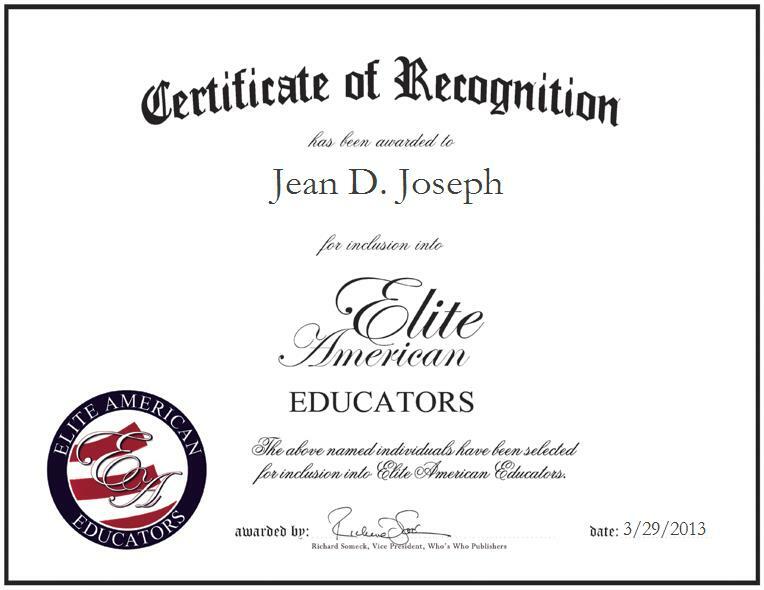 Jean D. Joseph is a teacher and guidance counselor serving The New York City Department of Education. In his current capacity, Mr. Joseph is in charge of making the most of his expertise in special education, counseling students from ninth-grade through 12th-grade, advising them on class selection. He is also responsible for counseling students on their academic grades and college decision-making process. Upon reflecting on a successful career in academia, Mr. Joseph attributes his success to his ability to determine the needs of his students. Mr. Joseph was a special education teacher from 1993 to 1996, and he continues to strive for excellence in his every endeavor to help students to learn and grow.